Banks have so far responded to such threats by installing all kinds of anti-skimmer fascias and see-through plastic slot covers on their ATMs, spent great deal on educating consumers on how to detect such devices with informative brochoures, warning stickers on ATMs themselves, even added helpful information to ATM displays' welcome screens and whatnot, and yet I still can't think of a single, simple and bulletproof way of establishing whether any particular ATM is safe to use, or it might have been tampered with and devices installed onto it to collect our credit card information and record our PINs. Check for cameras: Sometimes hackers looking to get PINs put cameras on the light above the keypad. Feel the top for anything protruding that could be a camera. 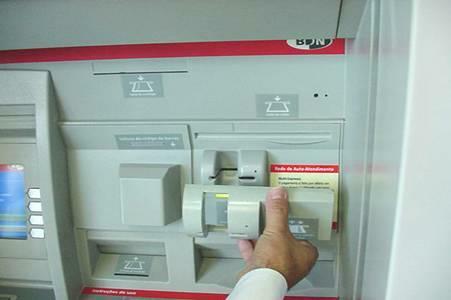 Pull on the card slot: Card stealers can't spend a long time messing with an ATM, so card skimmers are often easy to instal and remove. If the card reader at the ATM moves or seems loose, don't risk it. Wiggle the keypad: Hackers sometimes put fake keypads over the real one to figure out your PIN. If the keypad seems loose, try a different ATM. Hackers are getting smarter though, and technology to enable more advanced and harder to detect skimming devices is becoming more widespread (e.g. 3D printers, tiny cameras that can record PINs through a pinhole,...). So how are we, consumers, supposed to detect all of this? ATMs themselves vary greatly bank to bank, country to country. Sometimes, even same banks will use multiple different ATMs, and anti-skimming fascias might be different altogether. Hackers might have super-glued overlaid keyboard and the skimmer, the camera can be so tiny and hidden so well it would be nigh impossible to detect, or the complete circuitry (reader, camera, the whole shebang) extremely well disguised to look nearly identical to ATMs original fascia. ATM skimmer showing slot cover and pinhole for PIN camera. Would you have noticed it? The example in the photograph above could be scarier, if it was in matching colour and texture to the ATM's own plastic fascia, and maybe cut a bit nicer too. Noting too hard to do really. But even as it is, it's still disguised well enough to fool any slightly too casual customer in daylight, and possibly even the most cautious ones during night and under artificial illumination. Notice how tiny the camera pinhole is. Put a smudge of dirt around the pinhole, and it would be unnoticeable. How can we detect, in reasonable time and assuming the attackers got in the meantime smarter and better equipped than what we learned so far, if ATM was tampered with and any skimming devices (or other traps) installed onto it? I've left the question intentionally slightly open to interpretation and am interested in both latest & greatest ATM anti-fraud technology used by banks, as well as any good suggestions on how an average ATM user could detect such fraud schemes and devices, if present. 1) Sensors to detect any obstruction in front of the the card-reader for extended periods of time it'll trigger an alert. These sensors are light sensors, proximity sensors and beam sensors depending on the ATM in question. These are both mounted inside the card reader and around the device in general. Radio frequency (RF) detection is used for detection of analogue transmitting spy cameras fitted to the ATM for purposes of fraudulently capturing card holder PIN entry. 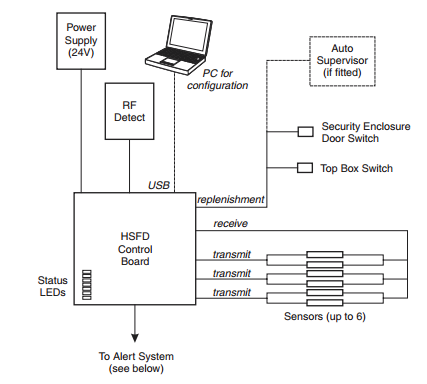 RF detection does not trigger an alert but provides additional supporting information to an alert if a fraud device is detected by a sensor at the same time as an RF detect alert. Cellular modem(to transmit alerts), with separate antenna (optional). Basically it accepts the card 'side on' (as opposed to the usual card entry method) and then rotates it 90 degrees before accepting it. This basically prevents any face plate being attached over the device and makes it very difficult to position a skimmer. To make matters worse the modification can be purely software. ATMs can be hacked, their software can be modified to log the mag strips and pins of every user. This is a losing battle and you take a chance every time you use an ATM. Security is relative, that being said I would avoid using ATMs in general, especially in a bad neighborhood. Online banking isn't foolproof either, related: Is accessing bank account on the internet really secure? The best you can really do is use ATMs you know or ATMs that have good physical security if one you know isn't available. (go to an ATM inside a bank). Even then, I always spot check the machine for any signs of tampering. A simple trick that can work well is to make sure the keypad isn't compromised (by looking and pulling on it) and then if it appears valid, put one hand over your other hand as you type in the code, so even if there is a camera, it can't see your input. Ultimately, it's still a losing battle and nothing is perfect, but thats the tips I usually follow. Hopefully in the future, we can move to a system that actually uses OTP (one time password) generation for added ATM security. 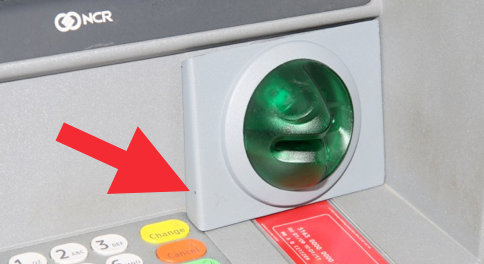 This is the latest anti-skimming tech out there. 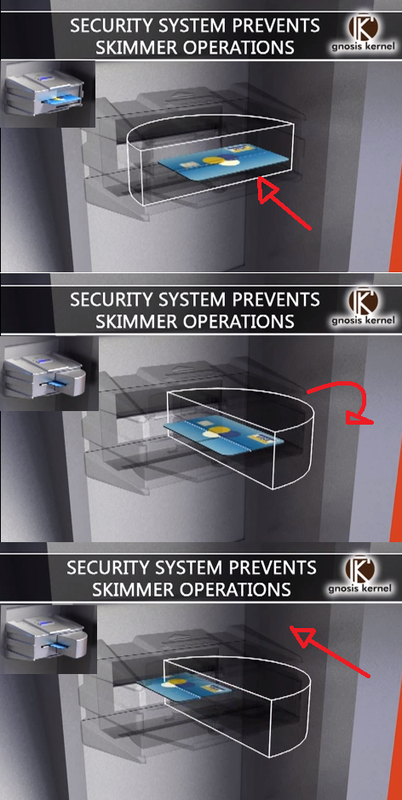 It basically rotates the card as it's being inserted, preventing the skimmers from locking on the magnetic data strip. It's just been recently invented by a card skimmer in prison. It was announced here. Regardless, as Rook mentioned earlier, security is relative. Software can still be hacked and the SRS can't protect against that. Also there might be card skimmers in future that will try scanning the card while rotating the scanner, matching the same pattern as the SRS. But for now, as an answer to you question, Secure Revolving Systems are things to look forward to. Not the answer you're looking for? Browse other questions tagged credit-card smartcard fraud threats atm or ask your own question.